What Makes You & Your Business Unique In Your Marketplace? A unique value proposition (UVP) is a statement that explains how your business and you are different from everyone else in your market. It tells your ideal customers what makes you special and how you can meet their needs better than anyone else in the marketplace. Your UVP essentially tells people why they should buy from you instead of from one of your competitiors. It takes some creativity to come up with a compelling UVP, but it could easily prove to be the best decision you will ever make for your business. So how can you quickly come up with a compelling UVP? 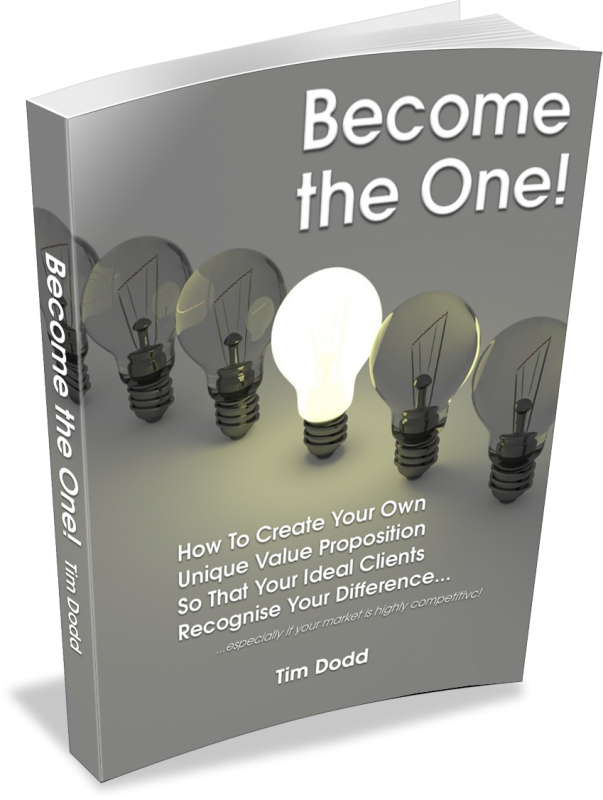 The answer is to complete 4 quick brainstorming exercises at the end of the four chapters in this short book and I promise, you'll be astounded by what you discover and by how your unique value proposition makes you stand out like a shining beacon to all your ideal customers and clients in your marketplace..
One of the biggest reasons businesses fail to be as successful as they'd like is that the business owner never invested the time and effort into understanding what made their business unique. I guarantee the exercises in this book will make you discover your uniqueness and help you think differently about your business and more importantly get your ideal customers and clients see why you're the best person in your market for them. But the BIG question is, whether you'll choose to understand and use your own uniqueness to attract a flood of your ideal customers and clients or whether you'll just remain another anonymous face in your crowded marketplace. Enter your first name and primary email address below to receive instant access to a copy of this invaluable short book by return.